Haunted by increasingly darker nightmares, Doctor Jared Renfro ignores the nagging in his gut and prepares to turn on the device for the first time. As the portal powers up and shapes begin to take form, he discovers even his darkest dreams did not prepare him for the horror he was unleashing upon the world. Driving his estranged teenage daughter back to the custody of his ex-wife, Nathan Baily laments the failed weekend drawing to its close. As he comes to terms with his life crashing down, a new threat puts the lives of everyone he loves at risk. Is his nearly forgotten training enough to keep them alive? Ten years after the tragic death of her husband, Ashley Cornell finds herself at the very location the murder occurred. As a wave of devastation sweeps over the walls of the military base, a new oath forms in her mind: She will not let this place take the life of her son as well. 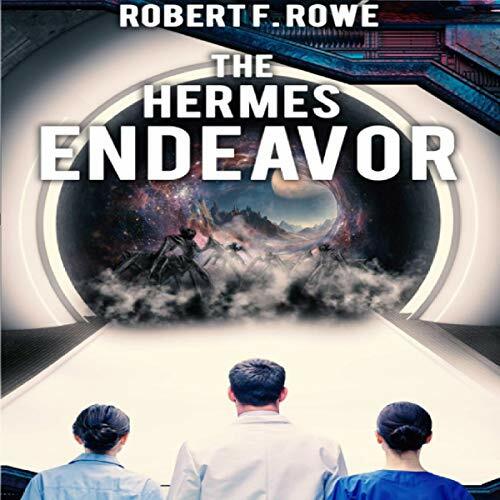 The Hermes Endeavor follows the stories of 12 people caught in the midst of an invasion few suspected. As they discover the part they play in the chaos, they must learn the true meaning of sacrifice to save all they hold dear.